Internet of Things is eating the world. Estimates on the number of connected devices by 2020 ranges from conservative 20,4 billion to exuberant 200 billion. 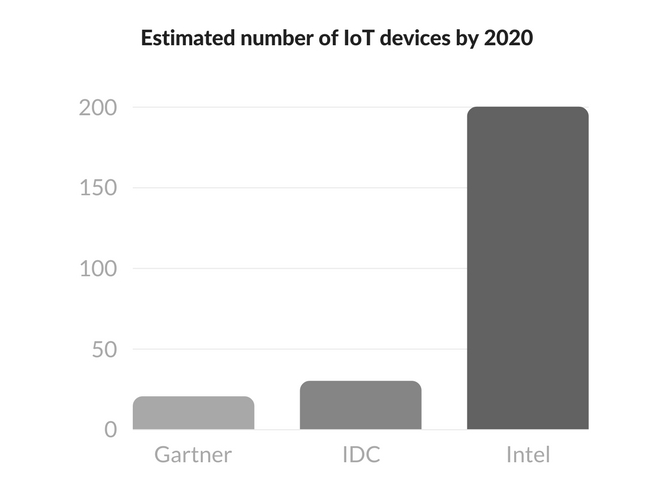 Estimated from Gartner, IDC and Intel.